In an increasing interaction between indigenous or isolated ethnic communities and outside actors, a lack of confirmation of local forestland rights is seen as one of the most critical issues. Does the outsiders’ occupancy of land for rent seeking and authoritative patronage for forest management meet the dispossessed people’s aspirations? How and to what extent should local communities be involved in forestland management and play a determining role in their own future? To answer these questions, this research is based on in-depth interviews focusing on the folk traditions, cultural beliefs, customary laws, local knowledge, and comments and recommendations of the local Thai ethnic people and some outsiders residing in the Hanh Dich commune, Que Phong district, Nghe An province, Vietnam. In addition, a number of previous case studies and reports from the archive of SPERI (Social Policy Ecology Research Institute) and its alliance members have been synthesised and analysed. The essential findings and arguments in this thesis comprise the local Thai people’s cultural traits, chronicles of outside interventions, local responses, and cognitive and methodological approaches to the study of indigenous cultures and their forestlands. It was found that local people have been upholding their holistic and unique perspectives, beliefs, customary laws, traditional organizational and institutional practices and that these inherent values and strengths can contribute effectively to forest protection and improvement of local people’s livelihood. However, it was also observed that the increasing imposition of the mainstream top-down approaches have not recognized or encouraged, that is to say, have undermined local strengths and values. 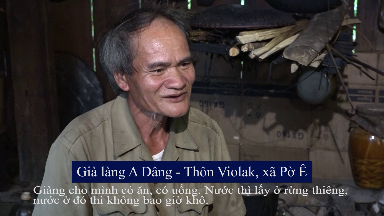 In addition, on the basis of an ethnocentric view, superficial perceptions of the ethnic minority peoples and their values have pervaded in the Vietnamese media. These phenomena raise questions as to cultural rights, human rights, and the quality of the policy making process and law enforcement which are inevitably affected by these ethnocentric views and approaches. To counteract the hurtful effects of mainstream interventions, local people have responded in a subtle and implicit way. As a result of outside interventions, they have had to find ways to adjust their productive and cultural settings. However, there remain wishes to recover traditional cultural values, especially in the minds of the elders. In an alternative bottom-up approach facilitated by SPERI, the people are stimulated to promote their own institutional and organizational strengths towards their brighter future. In a democratized and decentralized process, community’s land rights and customary rights should be officially recognized and confirmed. But official recognition should not be seen as the final goal, only as a supportive factor while the local community’s strengths and self-enforcement of their rights are determinant. To this end, indigenous peoples need further opportunities for networking, capacity building, and taking part in thorough socio-cultural ethnographic research in order to ensure that they are more truly and fairly represented.